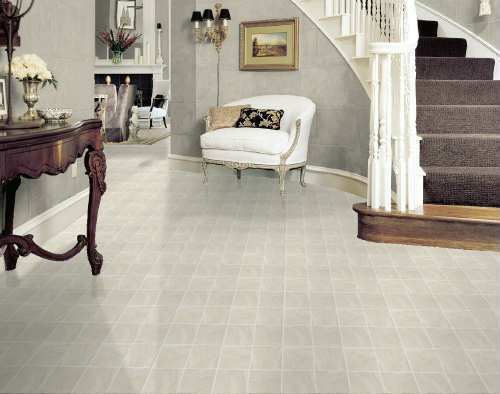 Description: Natural slate richly variegated with sand, off white, and gray. The grout line is white. A satin surface finish complements the stone look. The most durable Designer Solarian floor, it features Inlaid Color, the patented CleanSweep no-wax wear surface, and a 15-year limited warranty. Available only in 6 foot width.